HartzAnimalsDogsHealth & NutritionDo Cats and Dogs Get Sunburns Too? Too much sun can leave your cat or dog feeling not so hot. 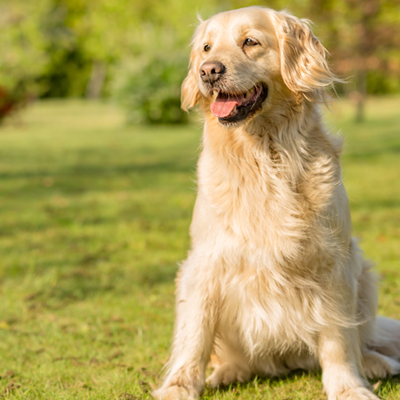 While summer offers the opportunity to enjoy the great outdoors, the consequences of prolonged sun exposure on those blissful days can be quite painful for your pet, predisposing them to sunburn and more severely, skin cancer. Taking a few easy precautions will help you and your four-legged friend enjoy the hottest season of the year while staying safe. Just like their owners, cats and dogs sunburn. Despite the natural protection from their fur, certain genetic and breed-specific traits lead to more intense reactions from Mr. Sun. White and light-colored animals, shorthaired and hairless pets are more prone to UV damage from harmful rays. Anytime your pet is outdoors unprotected, ultraviolet rays (UVA and UVB) cause free radical production and oxidative stress, which damage the skin’s DNA. This exposure induces cell death and results in different tiers of inflammation, such as redness, swelling and other signs of discomfort. Even turning slightly pink is an indication that the skin is being injured. Over time, DNA damage can contribute to skin cancers. “Like in people, dogs and cats that get sunburned are at a higher risk of developing skin cancers,” states Dr. Wilson. Sunburn in pets unsurprisingly occurs in areas with little to no hair, like the nose, stomach, ears, eyelids, mouth and paw pads. Deep partial thickness (second-degree burn) impacts the surface layer of skin, along with some deeper layers. This type of burn is more painful. In humans, second-degree burns often cause blisters to develop, but this is not usually the case in animals. These burns take longer to heal. Full thickness (third-degree burn) causes damage to all layers of your pet’s skin, and potentially even affects nerve tissue. These burns are very painful and can give the exposed area a charred appearance. Burns of this severity require immediate care from a veterinarian. They typically only heal at the edges where skin meets coat and result in permanent scarring without a skin graft Third-degree burns are very rare when associated with sun exposure. While there are methods you can use to soothe your pet’s sunburned skin, pet parents are encouraged to seek medical advice from a knowledgeable source before providing at-home care. Because cats and dogs do not burn as easily as their owners, skin damage is oftentimes quite severe. 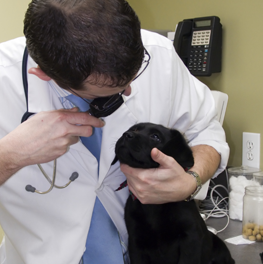 A vet will be able to evaluate the extent of the injury and provide a treatment plan. Just like with humans, repeated sun exposure can predispose your pet to certain skin cancers. 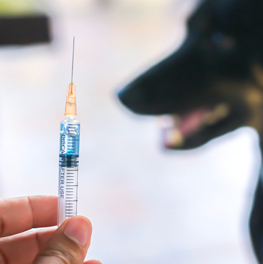 While other types of skin cancers are more prevalent, squamous cell carcinoma is the most common form of sun-induced cancer in cats and dogs. Squamous cell carcinoma typically appears as charred-colored ulcers and red, raised bumps. These growths include open sores that do not heal, and hair loss is common in areas surrounding the lesions. The ears, nose, stomach and other areas with naturally less hair are among the most common sites of affliction. Squamous cell carcinoma can also occur orally as well. Regularly check your pet for any abnormal growths and signs of skin cancer. Preventing sunburn will help ensure your playful pal enjoys summer while staying safe. Pet parents should take similar steps with their cats and dogs as they would to protect themselves and family members: limiting sun exposure and applying sunscreen. “Owners of at-risk dogs should try to limit the amount of sun exposure their pets receive during times when sunshine is at its peak, from roughly 10 am to 3 pm,” says Dr. Wilson. Animals left outside for most of the day should always have an area to retreat to that is out of the direct sunlight (in addition to access to plenty of fresh water). Additionally, pet parents should apply sunscreen to their pets during periods of sun exposure (following the directions on the product), and always after swimming. There are many approved sunscreen products available for cats and dogs. But if you’re in a pinch and can’t find a sunscreen product specific for animals, Dr. Wilson recommends using a product that’s certified safe for babies, ensuring it does not contain any zinc-containing ingredients (such as zinc oxide), which are toxic to pets. Cats and dogs should not be allowed to lick the product, if possible. Nothing beats being outside on a beautiful sunny day. 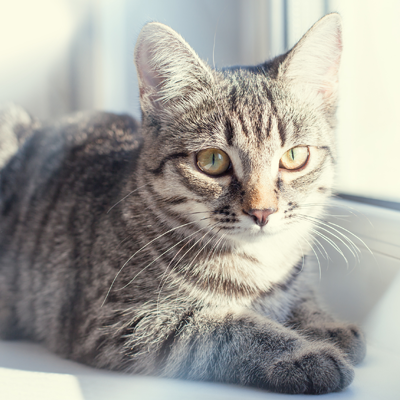 Although sunshine is a good source of vitamin D, too much can be detrimental to your cat or dog’s health. 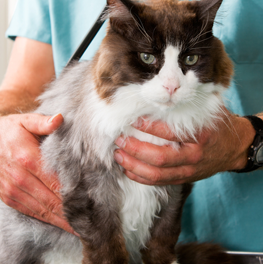 Prevention and early detection are the best ways to keep your whiskered one healthy and happy.